You may be aware that some popular Ruby gems have already been translated in many languages by the community. Their translated YAML files are usually available in a separate public GitHub repository. We don't want you to bother translating these gems again, and it's a real pain to have to add these translations manually into your new projects before initializing them. That's why we've decided to keep those YAML files up-to-date within our app, and then, whenever you initialize your project, we will pre-translate all the existing keys to your target languages. If you know any repositories with YAML translations for other gems, please contact us. 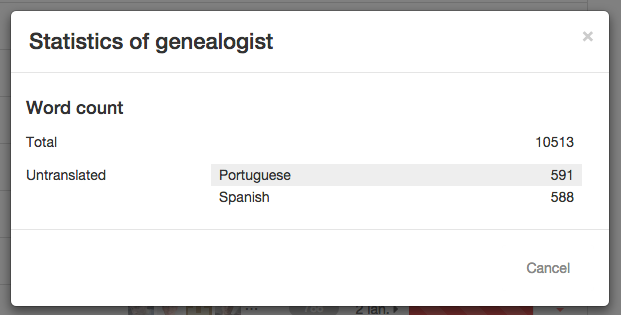 We're proud to announce that, starting today, you'll be able to tag segments directly in the translation interface. We did our best to make tagging painless without cluttering the screen with lots of irrelevant visual information. The only difference is the small "+" on the bottom-left corner of the selected segment. 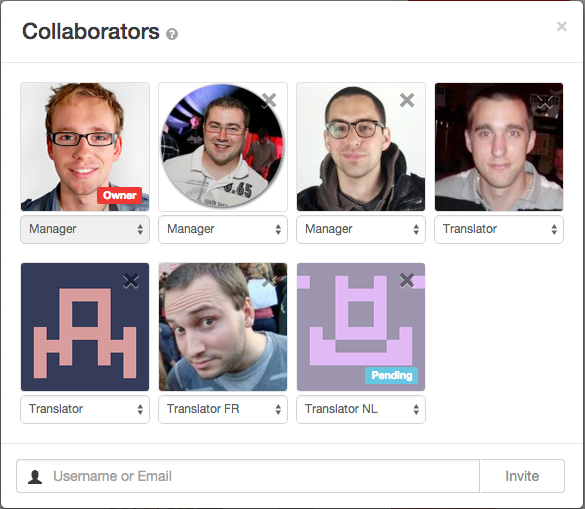 This feature will allow you to work seamlessly as a team on your translation projects. We hope you'll like it! If you work with external translators, they probably ask you for details about the amount of work. They need this information in order to give you a quote. On the projects list there already are counts of segments/keys left per target language. But, in reality, most professional translators base their pricing on the number of words to translate. Here you have the total number of words at the top and, for each target language, a computation of the number of words left to be translated. We've added a feature that we find very useful: you can now view and access the history of all your translation projects. The history is displayed as an activity feed; it shows which changes have been made by which collaborator and, of course, when they were made. Any comments on segments and any source editions are also included in the feed. For each change made to the translation, you get a colored diff to easily compare the segments "before" and "after" the change. 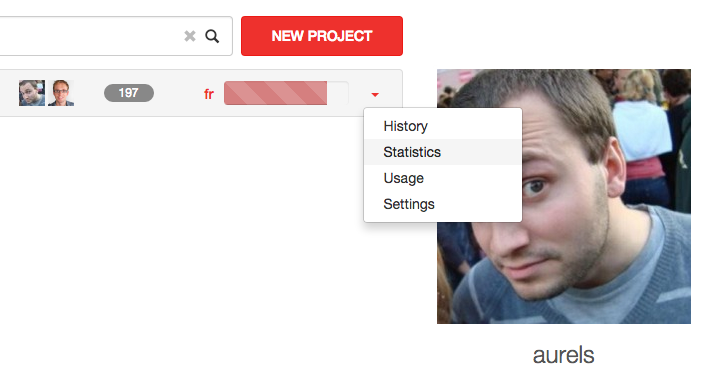 In the list of projects, via the dropdown link named "History". At the top of the translation page (next to the list of collaborators). We will improve this history in the future, for instance with a notification zone where you will be able to see the work of your team in real-time. At Translation.io, we believe that simplicity and user-friendliness are essential criteria when designing interfaces and we always make a point of keeping the amount of information and features on screen as low as possible. Along these lines, we had initially opted to give all collaborators on a project the same role and accesses (except for the owner, of course): any collaborator had access to any language and was allowed to edit anything, including the source YAML segments. This strategy works well for small teams but quickly becomes problematic for larger teams dealing with over 20 languages and subcontracting translations to "strangers", as is often the case in practice. That's why we have now decided to define specific roles for each task. By default, the roles and accesses will remain the same as before, but you will now be able to easily change the role of any collaborator in just a few clicks. Access to a given language. We have adapted the interface so that you can now change the different roles without making it more complex for those who don't need to change anything.